at the Library. All members of the RMMLA are eligible for the RMMLA-Huntington Library Research Grant, and we especially encourage graduate students and junior faculty to apply. 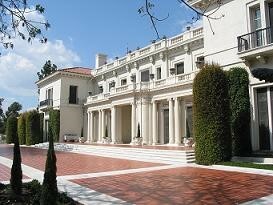 The Huntington Library has a rich collection of rare books and manuscripts principally in the fields of British and American history and literature. Other research strengths include 15th-century books, history of science, and maritime history. For the general public, the Library has on display some of the finest rare books and manuscripts of Anglo-American civilization. Among the treasures on exhibition are the Ellesmere manuscript of Chaucer's Canterbury Tales, a copy of the Gutenberg Bible on vellum, the double-elephant folio edition of Audubon's Birds of America, and an unsurpassed collection of the early editions of Shakespeare's works. For qualified scholars, the Huntington is one of the largest and most complete research libraries in the United States in its fields of specialization. Altogether, there are about five million items available for research. For more information on the Huntington, visit their site on the WWW at http://www.huntington.org/. The application deadline for the RMMLA-Huntington Library Research Grant is March 1. Criteria for selection include value of the project, appropriateness of the research to material available at the Huntington, promise and experience of the researcher, and proposed use of and dissemination of the project results. 3. A cover letter in which the applicant states that, if chosen as the recipient, s/he (a) will use all funds for the purpose of research; (b) will serve on the selection committee for the following year's competition if asked; and (c) will submit a 2-3 page final report within six months of the project's completion.